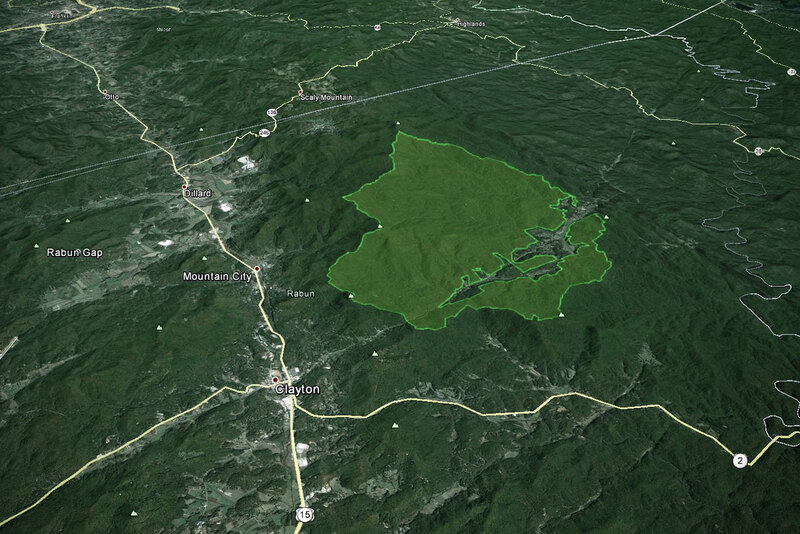 After several years of planning, the Chattooga Ranger District of the Chattahoochee National Forest announced its final decision on the Upper Warwoman Project, which involves 1,115 acres of timber harvesting, 10,494 acres of prescribed burning, 7.5 miles of fisheries habitat enhancements, and various other actions. The project area is located in the Warwoman Creek watershed in GA, which drains into Section III of the Chattooga River. The Chattooga Conservancy played a key role in convincing the Forest Service to: 1) abandon new road construction into the Windy Gap Roadless Area; 2) protect 824 acres of old growth forests; 3) decommission the Milk Sick Cove Road; 4) reduce intensive timber harvesting prescriptions; and, 5) Re-design the Tuckaluge Road to mitigate erosion into Tuckaluge Creek, tributary to Warwoman Creek. We are now monitoring the implementation of this major project. The Forest Service’s Upper Warwoman Draft Environmental Assessment proposed “treatments” on about 11,424 acres of national forest land in the Warwoman Creek watershed. Details of the draft proposal included: 1,180 acres of timber harvesting; 10,121 acres of burning (5,406 acres of which would occur during the growing season); 11 miles of road building, requiring construction of 5 stream crossings; road building into a portion of the Windy Gap Roadless Area (a roadless area that was illegally excluded from protection during the last Chattahoochee Forest Plan revision); and, the Warwoman project would occur in the landscape where over 75% of the project area is located on steep and/or very steep slopes. Also of note is that the draft EA stated that implementing the project would result in a hefty net loss to taxpayers of negative $1,358,170. protect water quality by decommissioning the Milksick Cove and Windy Gap Roads, continued use of which are clearly at odds with protecting Tuckaluge Creek from increased erosion and sedimentation, and detract from backcountry objectives of higher value along the Bartram Trail. We are monitoring the outcome of the Forest Service’s Decision Notice on this project, and will post our findings here.